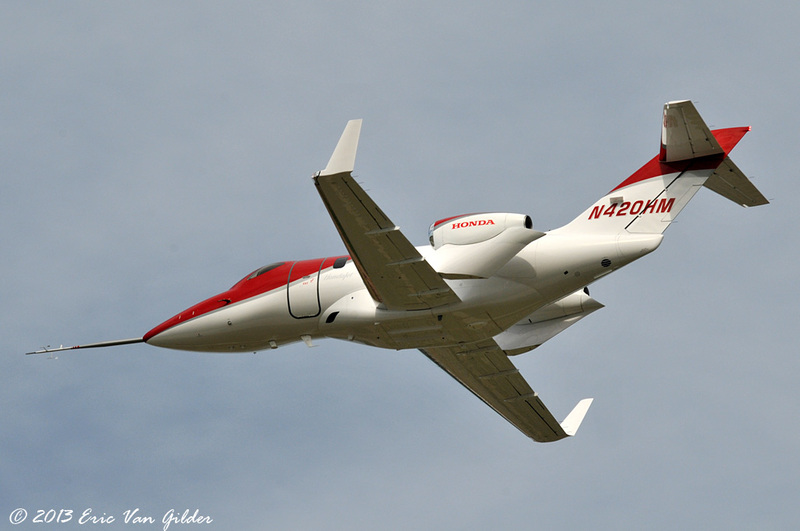 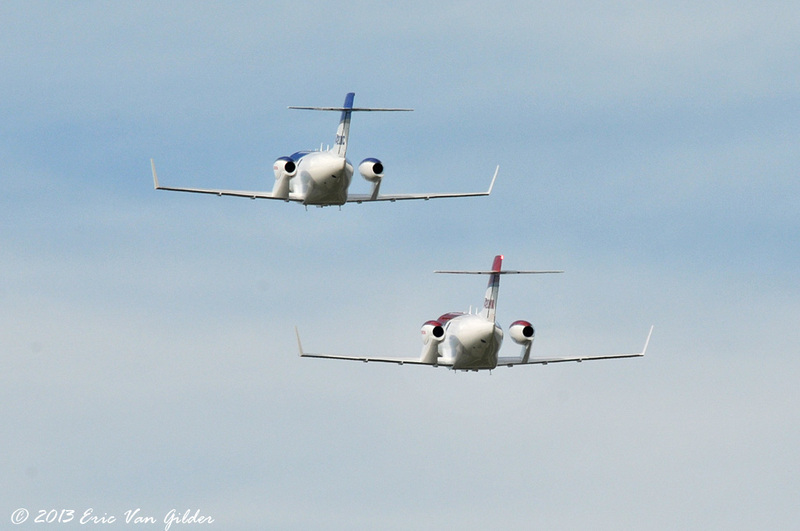 The HondaJet made its first public flights at Oshkosh this year. 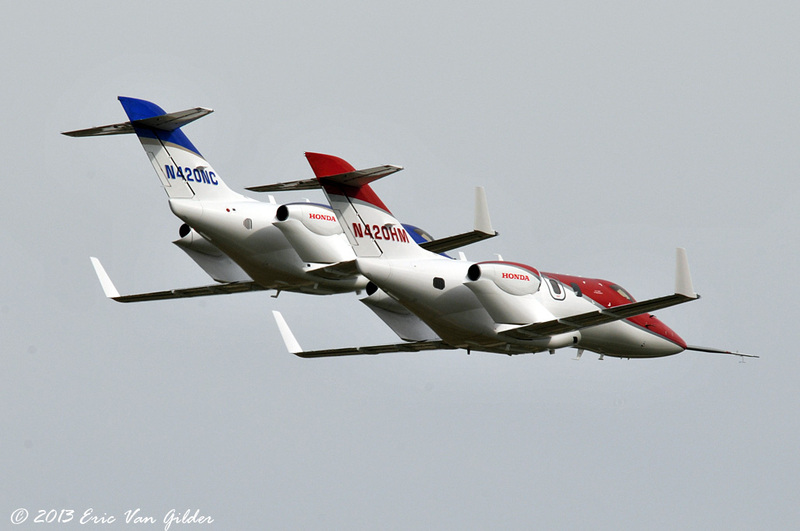 The FAA conforming #3 and #5 jets flew in formation to demonstrate their flight characteristics. 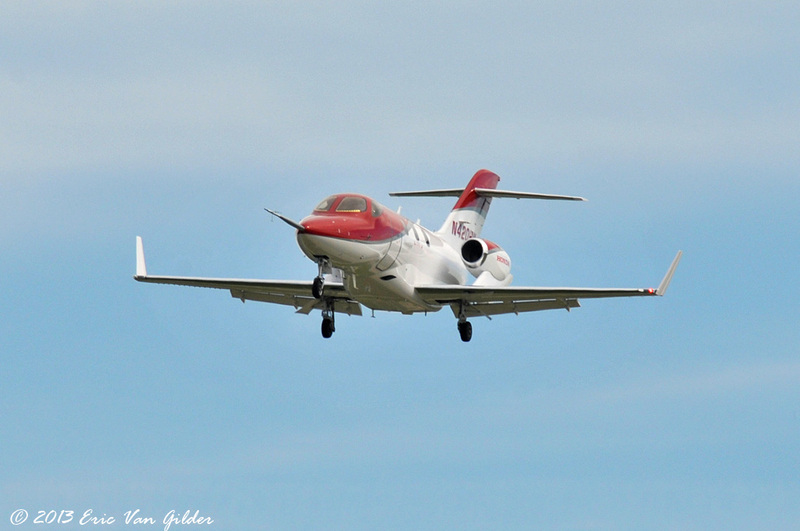 The red one is used for flight testing, hence the extended pitot probe on the nose. 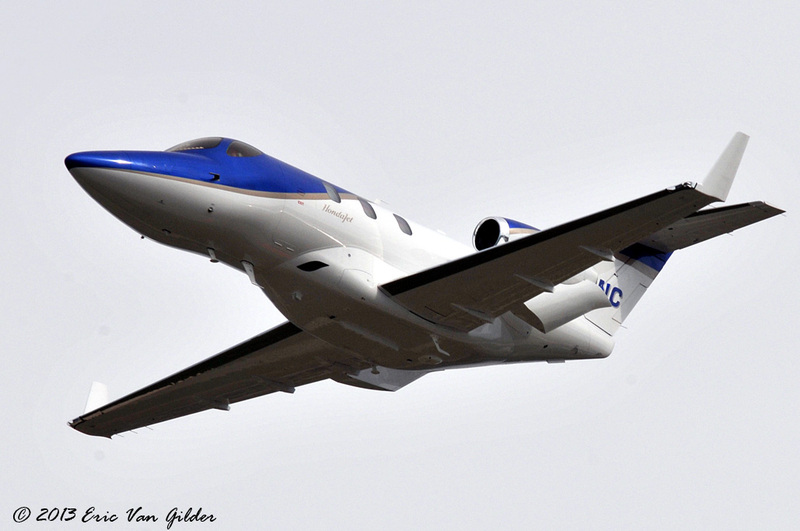 The blue one will be used to test interior components. 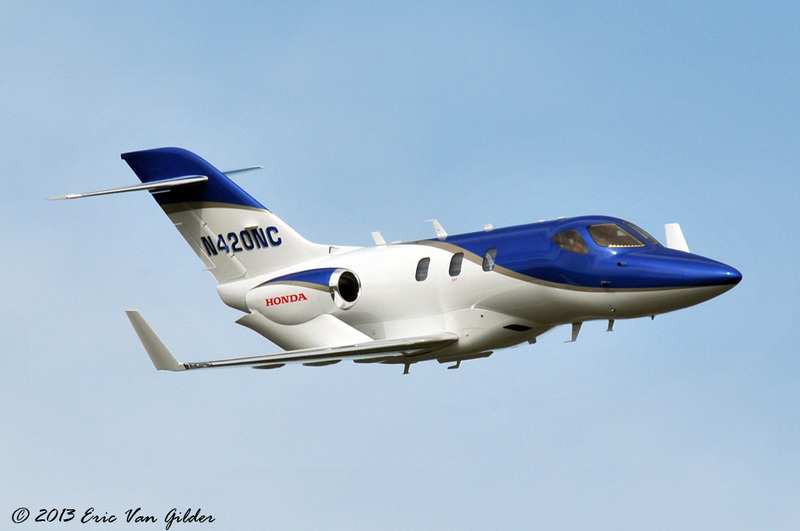 One of the unique features of the HondaJet is the Over-the-wing engine mounts, which increases cabin and cargo space, decreases cabin noise and increases fuel efficiency.